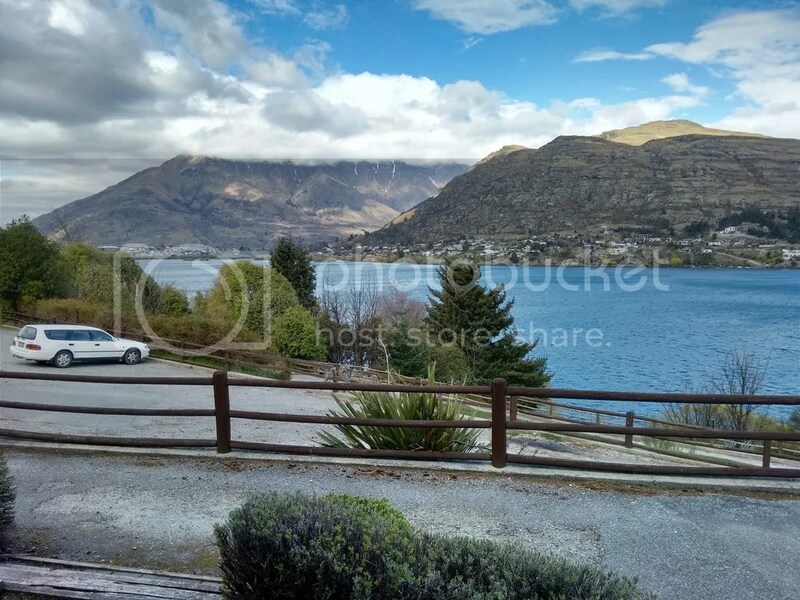 So we’ve finally settled into our new place in Queenstown! After spending a few nights planting trees and camping in the car we finally have a place to call our own. 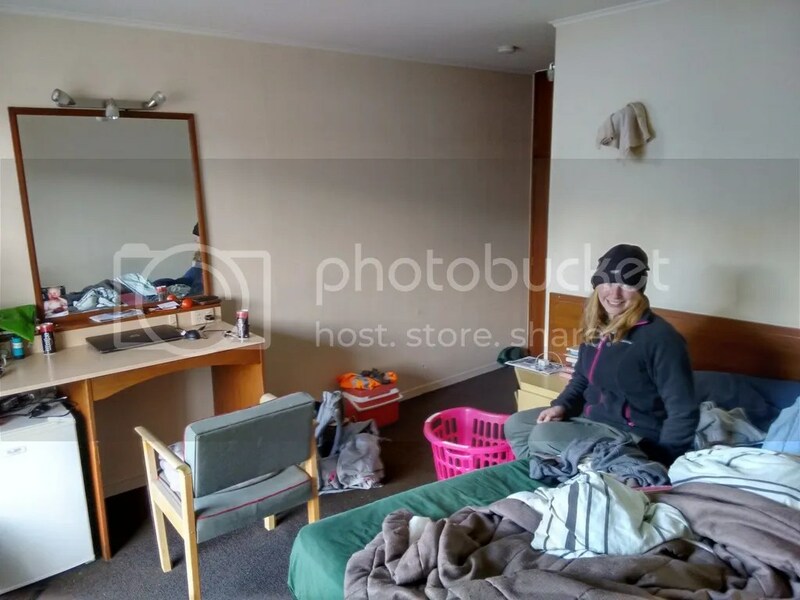 It isn’t a fancy place but the price and location are just what we were looking for. But what really makes it special is the view every morning when we wake up. 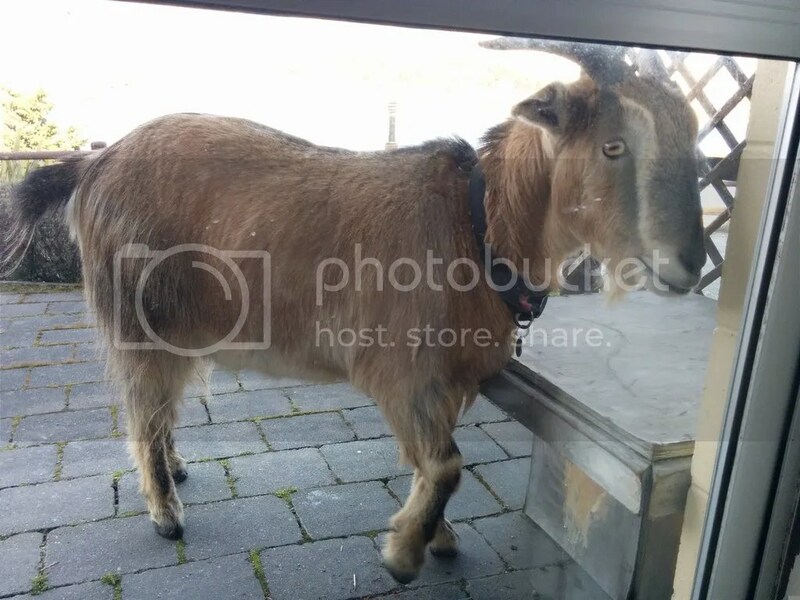 And of course there is Kevin…the pet goat…who eats our wood table out front and generally wreaks havoc wherever he seems to go. Its like a big dog but with horns and stranger. So I have been working some construction. It has been a variety of work from building a multi million dollar house, working on a multi story hotel to cleaning up old trees and building trenches. The work has been filling out the day pretty well and the past two weeks have flown by pretty quickly. Tracey has been riding her fancy new bike into town and even got a library card now that she’s a real (temporary) resident. She even got me a book called “Don’t die in the bush”. Which brings me to the next point. Last week I was called, thanks to Tracey’s interview, by one of the panel members who interviewed her. He asked me to come in and talk about a position that was open at the DOC! After working construction for most of the day, I changed into interview clothes in a shack bathroom and was off to meet Ed, my possible new boss. After only about 20 minutes of chatting he asked that I meet up with him later in the week in order to see what the job was. Tracey decided to come along too since we haven’t been able to spend much time with each other doing the fun stuff like over the past month. Today we went out for the visit. 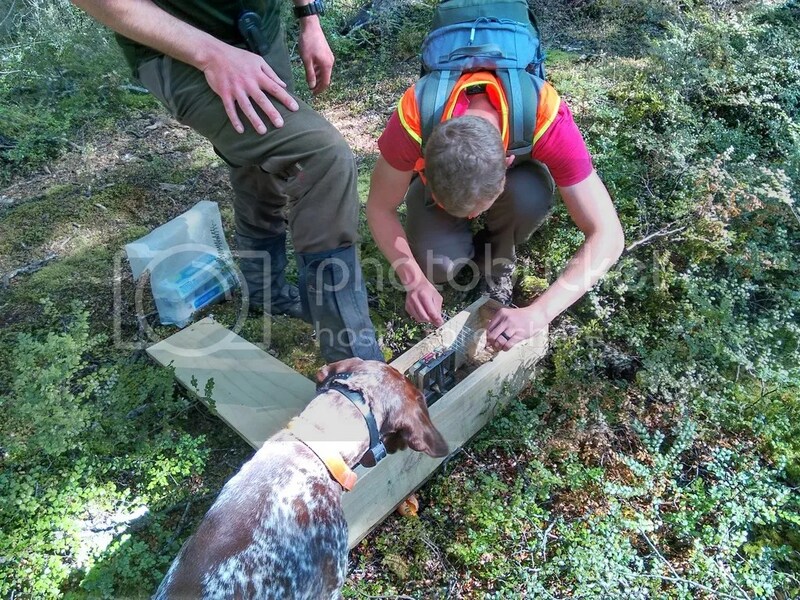 The job title is a Ranger and the role is trap data collection in pest management. You might wonder what this means so here is a bit of what we all did today. 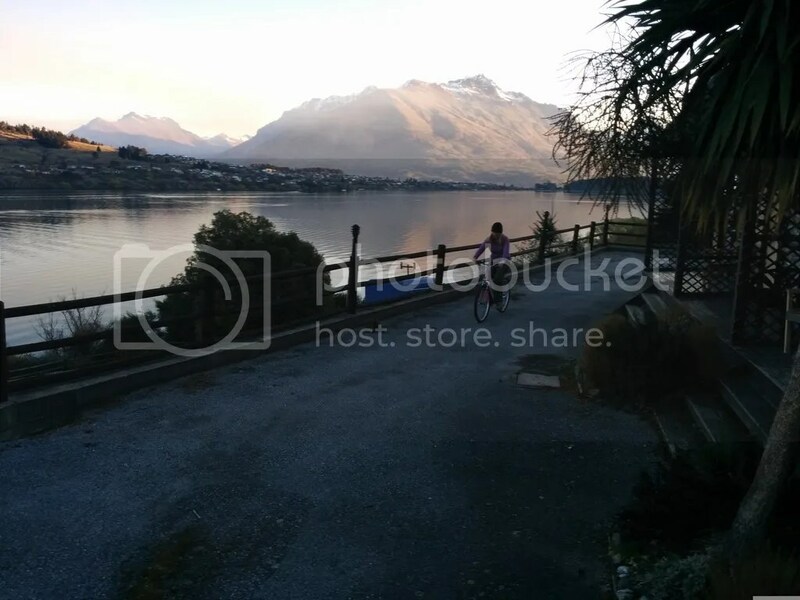 We basically met Ed this morning out in Glenorchy and got our things together to drive out to Paradise to catch a jet boat. We were also accompanied by his dog, named Dog. The ride was awesome, if a bit chilly, and by the time we were halfway there our eyes were pouring like faucets from the wind. They dropped us off at a river bank and drove off. Then the work began. We started walking along a trap line that was recently set up. 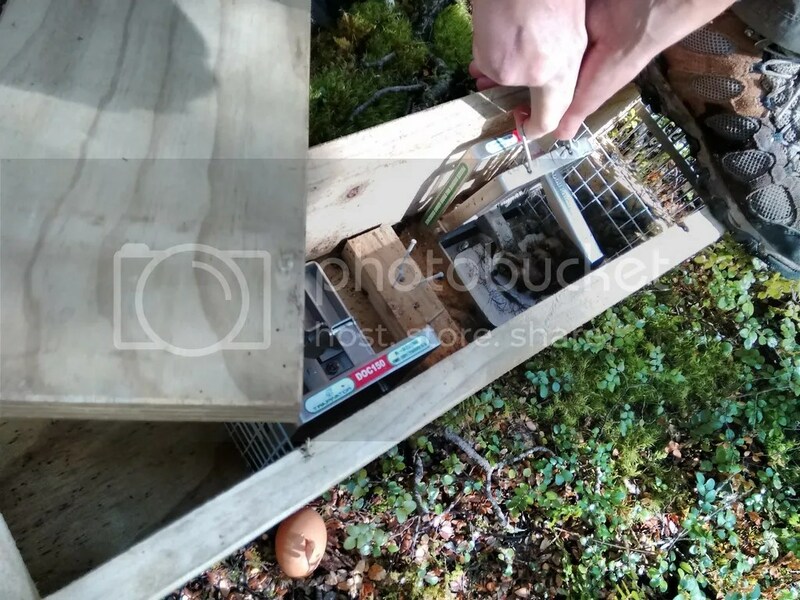 The idea is simple, a GPS computer maps the location of the traps and you record the results of what has happened since the last check. Since these were new we were also inputting the locations. A recent report has the number of rat, mice and stoats (or weasels) being caught down after a large push to poison them by dropping a specialized poison by planes last year, i.e. it worked. Its a bit smelly but if there weren’t these traps many of the local birds would have died out. 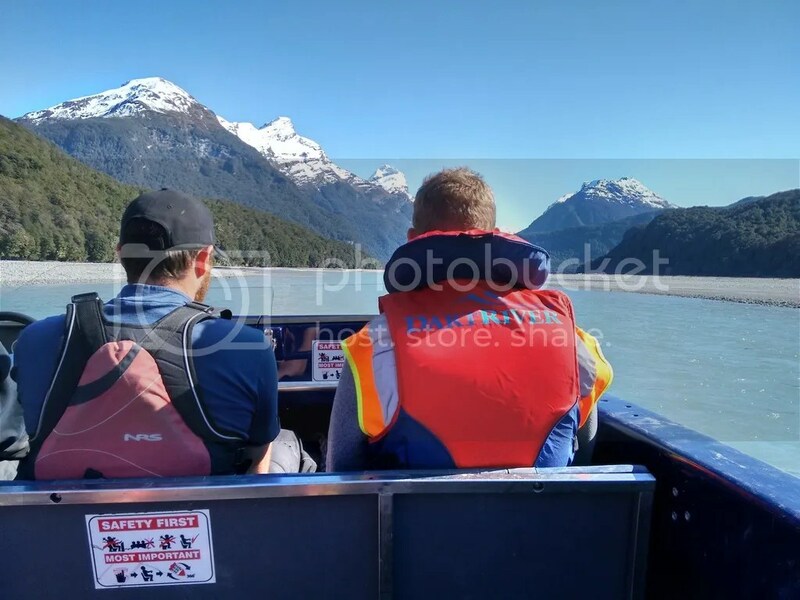 After learning more about the job Ed even said some locations they are flown in by helicopter, walk the trail and then catch a jetboat back home! How cool is that? To end our journey and really test our will we forded the Dart river by foot. We interlocked and learned how not to die and went in. It was supposed to only be thigh high but today is ended up being up to the mid chest. The shock was so great that it literally took our breath away. But our grit was tested and we passed. Hopefully I will be starting by October 5th! This little adventure is panning out much better Tracey or I ever expected! We miss everyone back home and love you all! All I can say is Wow! I’m so very happy for you. Another New adventure. Do they give you a weapon for self defense? Need hip wadders chest high!!! !